Landscape Architect and Designer Will Sandy is the winner of our Reframing Spaces Caracas open call. While in Venezuela, he will explore ways of positively transforming neighbourhoods through public space interventions. Here, Will tells us about his practice and what he hopes to get out of this project. In June this year, we launched an open call with British Council Venezuela inviting architects, artists and designers to submit innovative and creative proposals for public space interventions that could reinvigorate urban areas within the city of Caracas. 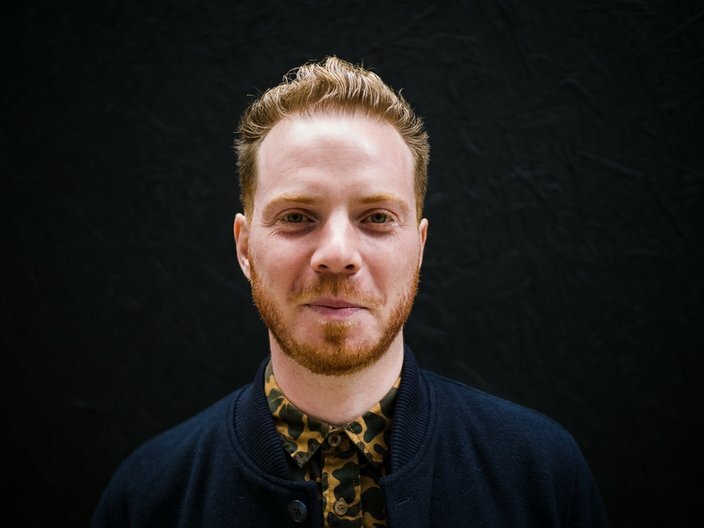 Will Sandy, sole practitioner and part of The Edible Bus Stop Studio, was selected for his experience of working with playful design techniques and engaging the public in the process of creating new urban spaces. I have always been interested in how people interact and take ownership of public spaces. It started from an early age; sub cultures fascinated me, growing up I was part of the skateboarding and BMX community, and this has since evolved into the reclamation of disused urban spaces, and the promotion of food growing in our cities. I grew up with parents in the property world, so I was always surrounded by interesting people from all walks of life, and landscape architecture provided a fitting profession that merged these early influences. Completing my studies in 2009 in the midst of the recession, I took the opportunity to set up my own design studio. This forced me to think quickly and become more agile and flexible in my working practice. I was soon working on a diverse portfolio of projects, from street furniture and small architectural schemes, to event and exhibition design. Where possible, I like to be playful and provocative with my work. It’s a great way of getting people engaged with the public realm, but just getting people talking about it is a start. A key aspect that has become central to much of my work is the need for freely accessible and engaging public space in our urban environments, and how even the smallest of interventions can have a positive impact on the physical space. 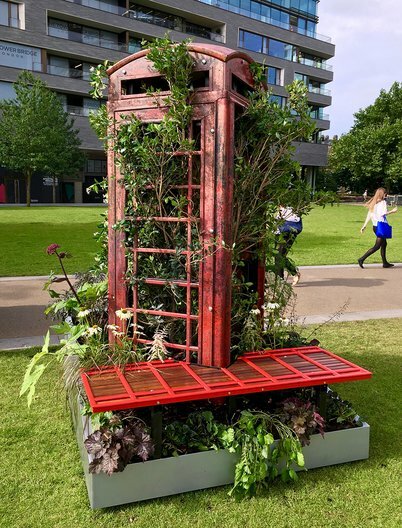 In my view, the introduction of green spaces is integral to the success of all public spaces – plants and trees not only make spaces more attractive, they are proven to have positive economic, environmental and health benefits. While most of my projects have focused on bringing neighbourhood spaces to life, I am currently exploring how intermediate and temporary activation projects can play a more meaningful role in the long-term permanent aspirations of larger schemes. 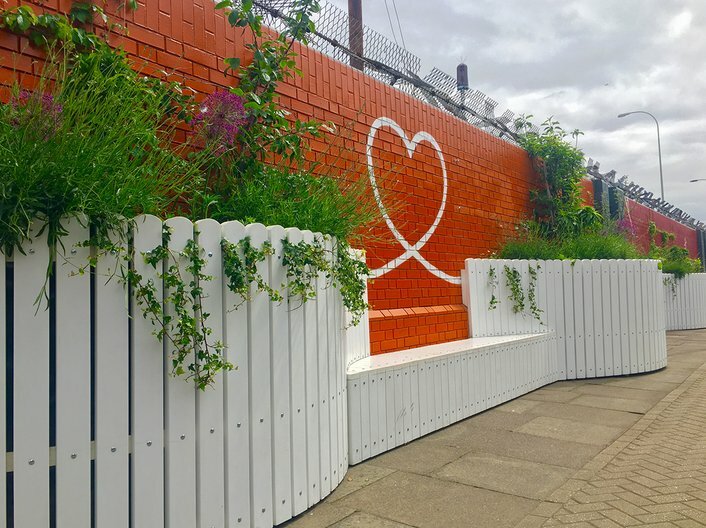 Sometimes these activation projects can feel like an ‘add-on’ or a tick box for planning, and this can undermine a wider project's positive engagement and involvement of existing residents with the future development of an area. I’ve been appointed to advise on the initial stages of a large transport-led masterplan, and separately with a team of consultants to deliver a new five-acre lake that will provide a positive amenity and enrich the biodiversity of the surrounding area. 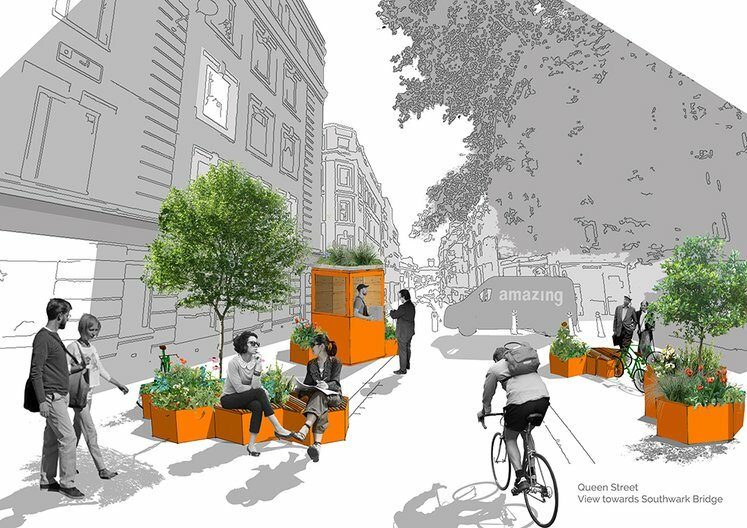 Closer to home in London, I am working with The Edible Bus Stop Studio on the animation and activation of a public square in West London. 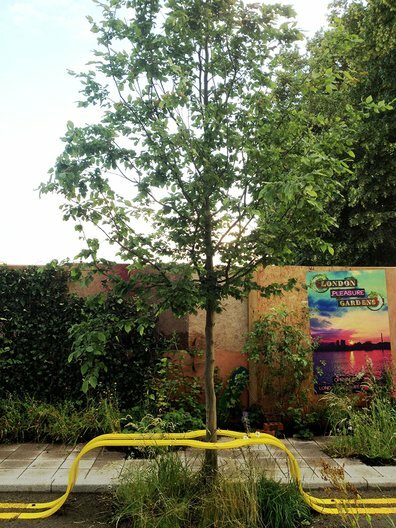 We are also growing the number of Tiny Parks across the London Underground network. A concept that transforms former ticket offices into verdant, tiny parks designed to surprise and delight commuters, introducing nature in to their journey. These Tiny Parks are due to be featured in a new BBC series Wild Metropolis later this year. What interests you about working in Venezuela and why did you apply to the open call? As humans we tend to frequent three key spaces in our lives: the home, the workplace and the third place. The third place – our social spaces – are where we go to relax, engage and unwind – the more attractive and accessible these spaces are, the ‘richer’ city living becomes. My work seeks to positively transform neighbourhoods through the introduction and integration of design, art, culture, music, food and fashion to enrich a city’s fabric and create social spaces. Reframing Spaces Caracas felt like the perfect fit with my work and ethos, and a positive challenge at this point in my career. A city like Caracas, where there are a multitude of complex yet human-centric concerns, presents an exciting opportunity to both understand and positively address the demands of a city in constant flux. The project offers a unique opportunity to connect with a diverse group of practitioners, students and members of the public. I look forward to working as a collective to inspire and drive positive change in the daily urban lives of the Caraqueños. Being part of this project will also allow me to build on and share the knowledge, skills and experience I have gained through my work to date, both in the UK and overseas. It will provide a significant and meaningful experience. What are you hoping to discover or explore with this project? In a country that is facing many complex issues, I think it will be important to focus on the basics. By taking time to understand the fundamental aspects that shape the daily lives of the Caraqueños we will be able to design and deliver accessible and engaging public spaces. With this in mind, I hope to work closely with those who are using each space, ensuring that we don’t lose sight of who the end user is, and how their needs might evolve and change over time, or even at different times of day. I would like to explore local techniques and materials, and the places and spaces where they intersect. 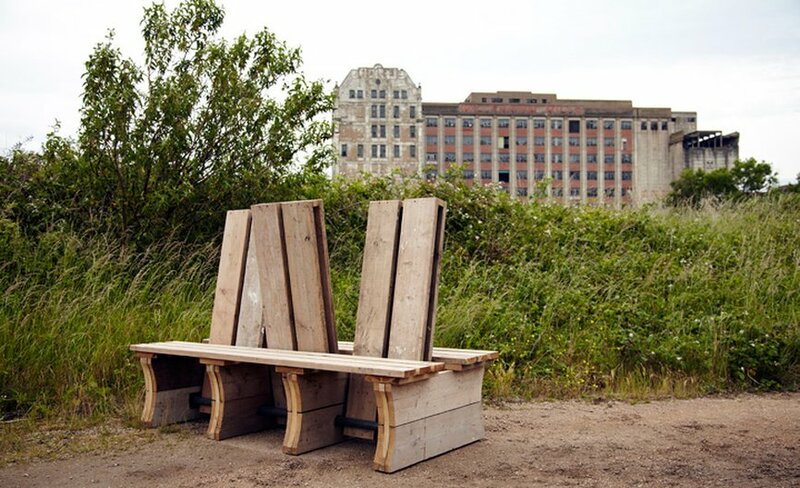 Inspired by the DIY customs of Caracas’ barrios, the project can evolve naturally, with the first interventions acting as both a foundation and a catalyst, encouraging others to build on the kit of components, perhaps even hacking the system with their own ‘add-ons’. The safety and security of the users of these spaces is a fundamental driver of this project. I believe that by identifying a number of key sites at which we deliver clear visual change, it will provide people with a symbolic sign of investment and pride in their city. While eschewing overt branding, it is my intention to develop a language or visual identity through design, colour and materials in order to clearly define these spaces as a demonstrable signifier of positive change in the public realm. What are you most looking forward to about this project? Reframing Spaces Caracas is an exceptional opportunity. I am looking forward to the challenge of working in a city with such a diverse and sensitive set of cultural, economic and political issues. In all situations, I believe that there is good, and while that may come across naïve on the face of it, if you celebrate positive actions within a place or community, it has a knock-on effect. Perhaps most significantly, the people of Caracas are already uniting around community-driven initiatives designed to positively reclaim and revitalise their city. Therefore, I look forward to inviting those from outside the built environment profession to comment on designs, as I find their input and fresh perspectives on the use of space can make for the most interesting and exciting results. By working cross-culturally in this way with local specialists, students and residents, I want to bring their Latin American influences to the project, and I’m sure their insights will also impact my own future work in the UK and further afield. Will is visiting Caracas 7-13 October for an initial scoping trip to understand the challenges and opportunities of creating a public intervention in the city with students, cultural actors and the general public.